Bangladesh has rejected the US State Department’s 2018 country reports on human rights practices saying many things about Bangladesh mentioned in the report ‘by and large’ more applicable to the US rather than Bangladesh. “I’ve enough doubt about their self investigation. 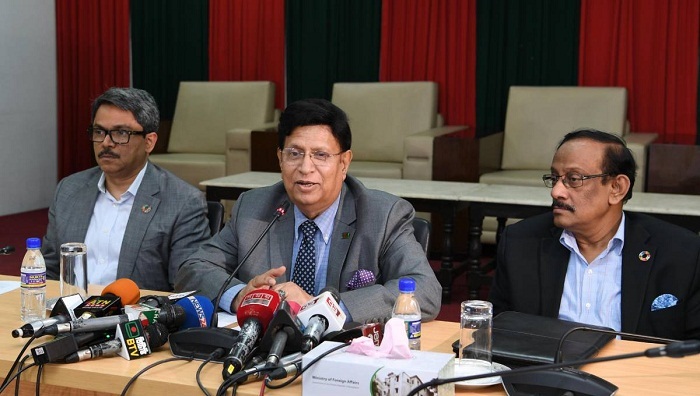 We welcome reports that are objective and fact-based ones,” Foreign Minister Dr AK Abdul Momen told a media briefing at the Ministry of Foreign Affairs. The Foreign Minister said the US report provided information in the name of individuals and organizations. Talking about polls issues in the US and Bangladesh, he said Bangladesh practices better democracy than others.